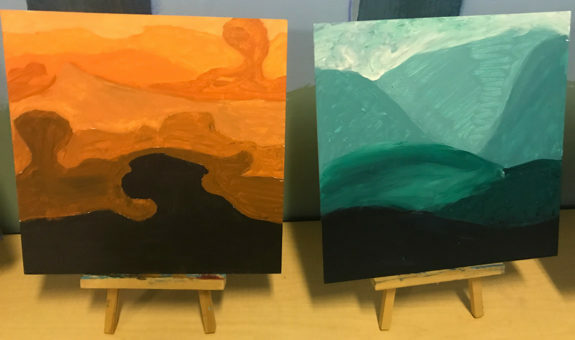 Our 6th and 7th graders were recently introduced to tints and shades in their art classes. 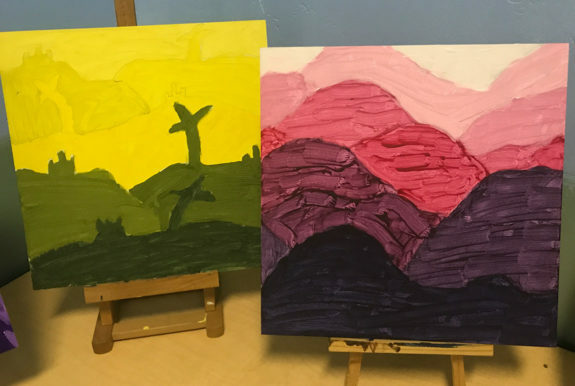 They practiced making their own tints and shades using either white or black and then adding it to their base color of choice. 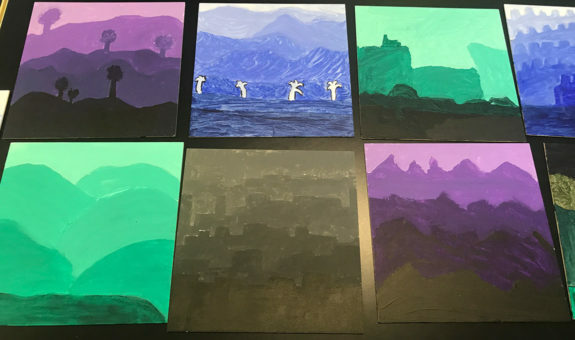 They each designed and created a landscape with overlapping layers, using at least five distinct tints or shades that they made themselves. The students did a beautiful job, and their pieces reflected the thoughtful and careful work they put into this project. Below are a few photos of their creations; stop by the art studio to see them up close!